I love my jewellery, you might have guessed if you have seen my Pinterest feed or some posts ive done over the last few months, so when asked if I would like to review something from Pia, I immediately accepted. Pia Jewellery sell a wide range of jewellery, bags, purses and gifts, infact you will find pretty much something you like in every category. To look at, Pia Jewellery is simply stunning, you only have to look at the website for a few seconds before you begin adding things to your basket. Each item is beautifully made and presented online, so when it arrives to you beautifully gift-wrapped it is still very much impressive. All of Pai's jewellery conforms to European safety standards, including the control of nickel and all earrings are hypoallergenic - this pleases me because I have an issue with products containing high amounts of nickel, I turn green! I was kindly sent two pairs of silver earrings**, one which made me cackle as it hosts a saying that I use quite a lot and another which are quite exquisite. These sterling silver ovals are engraved with the message ‘in one ear’ and ‘out the other’ which I say alot to Steve when he isn't listening to what I am telling him. In the ear they have a slight dangle on them which is around 24mm from the hole downwards. I like these earrings because they are quirky, they are a nice shape and size and cost just £20. The second pair are Sterling silver rose studs with pink pearl centres and just look at them truly divine and the kind of earrings that you can wear during the day or should you have an evening event, they can add that little touch of class to your outfit. Retailing at just £20, again I think these are an absolute bargain and I wear them quite a lot right now as they suit every outfit I have worn and as someone who has small ears, they are not too big that they look even smaller. 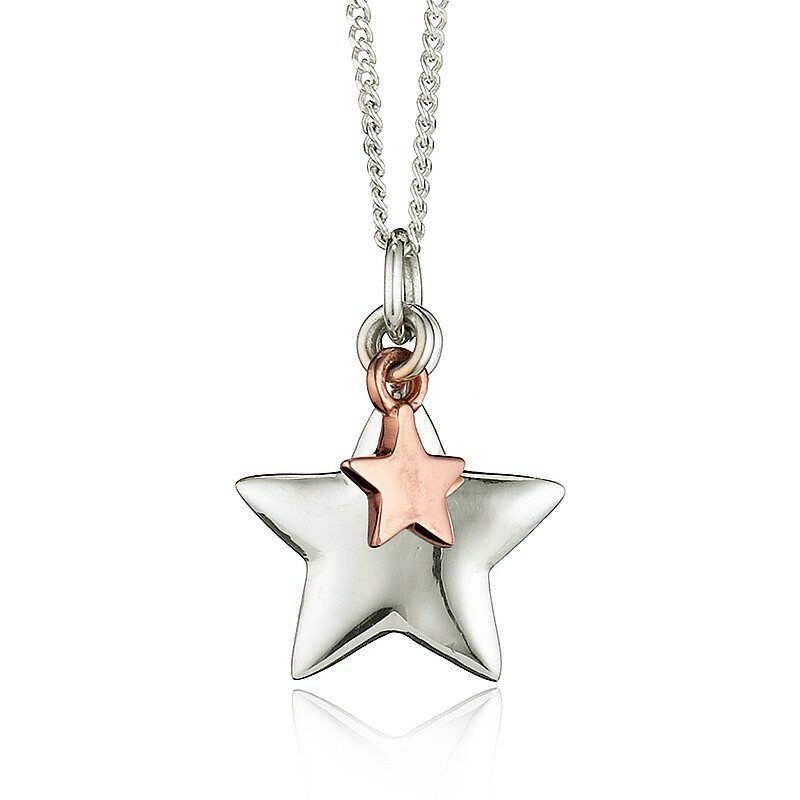 I have my eye on a few other items on the Pia website currently the Sterling silver star pendant with a tiny star plated in rose-gold and the star charm bracelet which are just amazing and retail for £25 and £28 respectively - total bargains and definitely on my wishlist. Have you ever owned any jewellery from Pia? Is there anything that really takes your fancy? Ohhh I am totally digging the in on ear earring. More xmas gift ideas. I love the look of that star pendant!! Very funny yet still nice and delicate! Love the humour in the top pair of earrings! That is such a great price. I don't wear earrings but I love that bracelet, gorgeous! Love the earings at the top, I'm not really a jewellery person but I do like those! love the bracelet - and a great price too! I haven't heard of the brand, but I'm loving the look of that star bracelet! The star bracelet's gorgeous! These are so reasonably priced, especially because they have that 'hand-crafted' look to them. love the star necklace I dont usually wear earrings often. Pia have some gorgeous pieces, those rose studs are beautiful!! 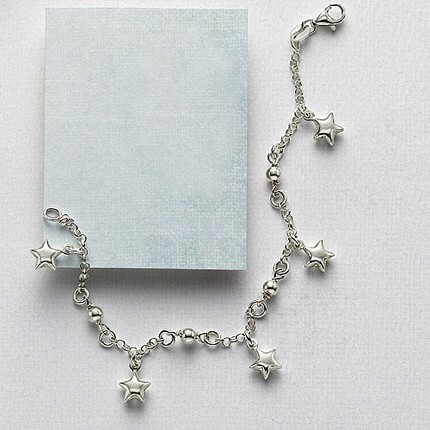 What lovely jewellery, the little star charm bracelet is so cute. A perfect gift for Christmas. The pendant is definitely on my wishlist - did you hear that Santa? Gorgeous and not overpriced, a winning combination! Love the first pair of earrings, they are just perfect, lol. But the star pendant is really beautiful too!